"Dr. Leiszler, Dr. Heath and their staff are the most caring dental professionals I've ever been to. They are concerned about your oral health, and sincerely care about you as a person. I have been a difficult case, but Dr. Leiszler, Dr. Heath and their staff have been patient and have thoroughly examined the various scenarios for optimum results. I would recommend him to any of my friends or relatives." – Sharon B. 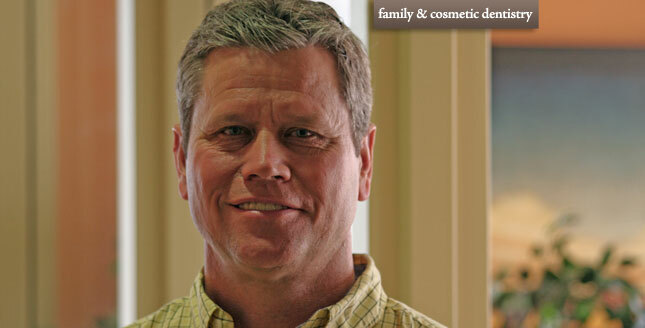 "When I moved to Baldwin City, I knew we needed to get established with a great dentist. I needed a lot of repair dentistry. Dr. Leiszler set a course of action and was superb all the way through! He was sensitive, thoughtful, and very professional. I am extremely pleased with the results and recommend Dr. Leiszler, Dr. Heath and their staff highly!" – Cassy B. "Not only does Dr. Leiszler, Dr. Heath and their staff do an incredible job of meeting my dental needs, they do so in a professional and friendly manner. I feel they are knowledgeable and keep up with the new technology available to best meet the changing needs of their patients. I am extremely glad that Dr. Leiszler and Dr. Heath chose Baldwin City to open their practice! We as a community should realize how lucky we are to have him here!" – Sue B. "Because of Chris and his staff, I now have my smile back!! Thanks, you are all the best!" – Tom K.
"Dr. Leiszler went the extra mile with my husband who has dementia – long appointments, at no extra charge – painstaking methods he wasn't taught in dental school – and genuine feelings for my husband and me. Got the job done too!" – Bootsie L.
"I absolutely love Baldwin City Dental! Everyone on the staff is so happy and genuinely take an interest in your life. The technology is amazing. I have never 'taken a tour' of the inside of my mouth until going here and I can watch HGTV on my own personal TV while getting a cavity filled! My children had a wonderful first time dentist visit and can't wait to have another cleaning. Thanks so much!" – Sarah B. "Dr. Leiszler, Dr. Heath and their staff are great! They are always friendly and very genuine. They want only the best for their clients. My daughter started seeing Chris in 2008. He immediately recognized something was not right (medically) and encouraged us to seek a specialist out. He assisted us and put us on the right path to get her the specialized care she needed." – Lisa H.
"The best hygienist I've ever had, and I've had MANY! I could actually REST while my teeth were being cleaned! We are lucky to have Dr. Leiszler, Dr. Heath and their staff in Baldwin!" – Amy B. "I had just about given up on getting my teeth fixed and getting someone who really cared about me and not just the money. I feel lucky to find Chris; he is the best." – Norm E.
"Dr. Leiszler, Dr. Heath and their staff are truly wonderful. By our second appointment, we were on a first name basis. They really take the time to get to know you and they truly care. The dental care has been exemplary and very gentle. Dr. Leiszler's eye for detail is wonderful." – Tonya S.
"We enjoy being a patient at your office – you are very gentle, caring and you make us feel very comfortable. You are the most thorough dentist I have ever met!" – Joanne G.
"I have always received excellent care from Dr. Leiszler, Dr. Heath and their staff. Everyone is very friendly and they make you feel comfortable and at ease. I can relax knowing that the people taking care of me know what they're doing and do it well." – Lori C.
"I liked the fact that Dr. Leiszler conducted the initial exam and explained everything thoroughly. The new technology in the office is great, I've only seen my teeth by x-ray before now. I liked the camera shots; it gave me a better understanding of what is going on in my mouth." – Lisa S.
"Baldwin City Dental was heaven sent!.... I came here in 2003 and the dentist here was not taking any new patients at the time… did not go to a dentist until Dr. Leiszler came to town (in 2007). Great dentist… great staff… able to get in on short notice – very, very pleased!!! An added bonus… Dr. Leiszler's a KU grad!! Rock Chalk!!" – Beau M.
"Friendly, caring competent staff." – Anne W.
"My teeth have never felt better! Baldwin City Dental has a network of resources to solve most problems. It's not like going to the dentist, it's like stopping by to visit with a new friend. I actually look forward to it." – Bill W.
"Baldwin City Dental has always worked to get us in if we had a dental issue and we really appreciate that. Always willing to explain things and give options. Willing to work with us if we need to spread out the expense. Very professional staff and an exceptionally great dentist. Office is always clean and looks neat!" – Shirley S.
"I've had a dentist in the past who didn't have the best personality. It's great to have a friendly dentist!" – Jennifer H.
"Love Dr. Leiszler, Dr. Heath and their staff! My kids actually look forward to going to the dentist... That's amazing!" – Suzy G.
"Dr. Leiszler, Dr. Heath and their staff are the most friendly, caring practice I have ever visited. They always seem happy to see me, and I feel very welcome and valued. He rarely keeps me waiting, and in many cases gets me in early. Once, Dr. Leiszler happened to be running 15 minutes behind and his staff was considerate enough to call and let me know before I left for my appointment. Amazing! I've NEVER had that happen with any doctor. Just another measure of the consideration shown by everyone who works there." – Candi B. "Dr. Leiszler, Dr. Heath and their staff have been very courteous and professional from day one. Their office is beautiful and very relaxed. I felt I received an honest recommendation of the work that I really needed to have done. Jennifer does a great job of coordinating insurance benefits so that you know up front what you are looking at in regard to out-of-pocket expense before you get started. I felt like I had been a long-time patient after my first visit. They made notes of my concerns and I had a very positive experience. Take it from someone who is super sensitive to everything relating to dental work. I am so glad I made the call to their office and highly recommend them." – Becky W.
"I’m really enjoying my new smile. Thanks Baldwin City Dental!" – Johnnie T.